We are bombarded with misleading ads promoting terms like “grass-fed”, “organic” and “sustainable” as being the best for your health. “GRASS-FED” – All cattle are fed grass at some point in their lives. So don’t be fooled, even grain-fed cattle can be labeled “grass-fed”. To have all the healthy, beneficial Omega-3’s, look for beef that is 100% Grass-Fed AND Grass-Finished. Look for cattle that are raised on pasture. “ORGANIC” – The rules for certified organic allow the use of over 200 synthetic herbicides, pesticides and fungicides. Also many certified organic inputs and feed come from countries like China where there’s no guarantee they are truly “organic”. Ask for NO herbicides, pesticides, or fungicides. Look for locally sourced inputs (if any are needed at all). “SUSTAINABLE” & “HUMANELY RAISED” – There’s no legal definition for these terms. Very few cattle are slaughtered on the farm – most are shoved into cattle transports, wait in feedlots and are slaughtered on an industrial kill floor. Look for on farm slaughter; it’s more humane for the cattle and will produce better meat. Look for cattle that are pasture-raised; it’s more sustainable for the environment and you’ll have happier cattle which leads to better meat. You can’t rely only on labels when making food decisions. Get to know your farmer and their farm so you can define these terms for yourself. Take a farm tour. Ask questions and become empowered. 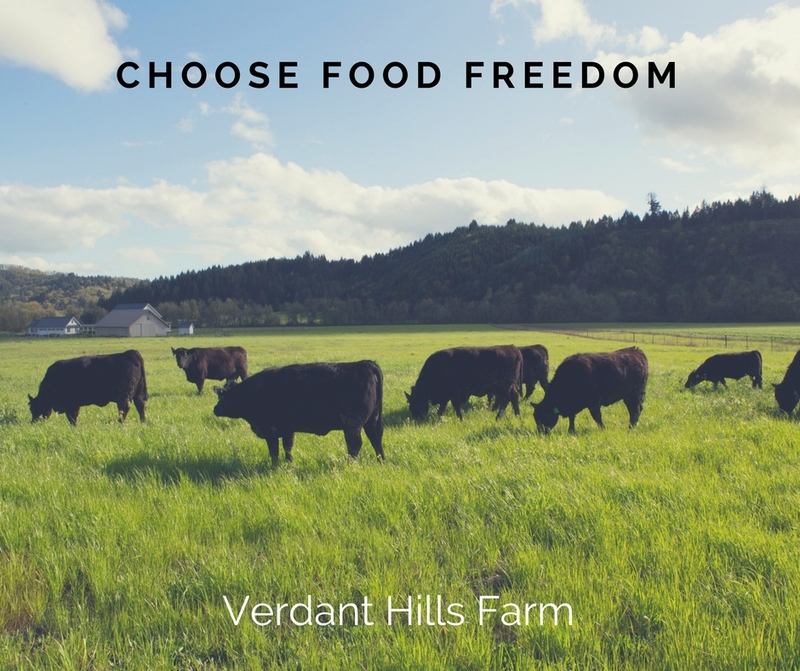 Choose Food Freedom!